Cucumber Sandwiches: not your grandma's tea sandwiches! 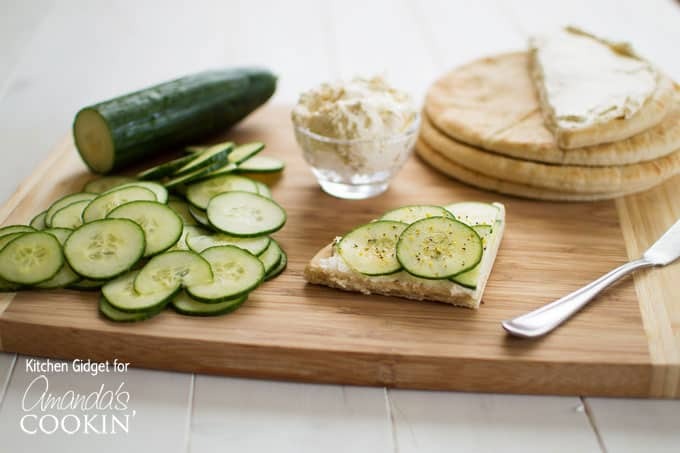 What do you get when you combine crisp cucumbers, zesty cream cheese and soft pita bread? 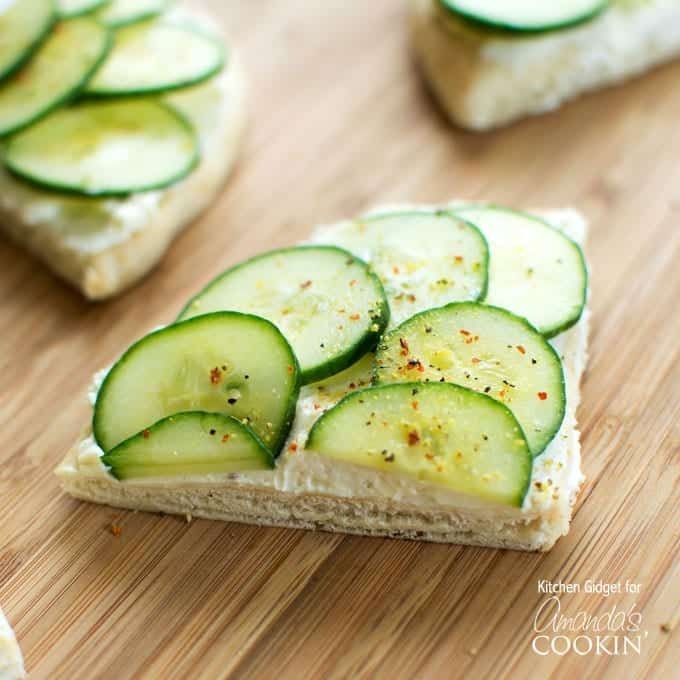 These mouthwatering cucumber sandwiches, perfect as an appetizer for a party! 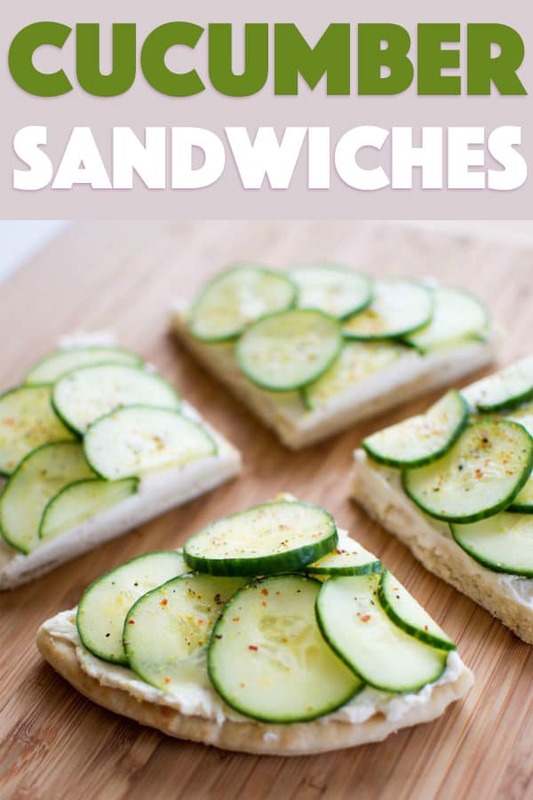 These little finger sandwiches are great for cooling off on a hot day or as a healthy snack for kids and adults alike. Cool as a cucumber has a whole new meaning! Instead, I love fresh produce, juicy tomato sandwiches, chilled spaghetti salad with Italian dressing and creamy no-bake desserts like Oreo cake. 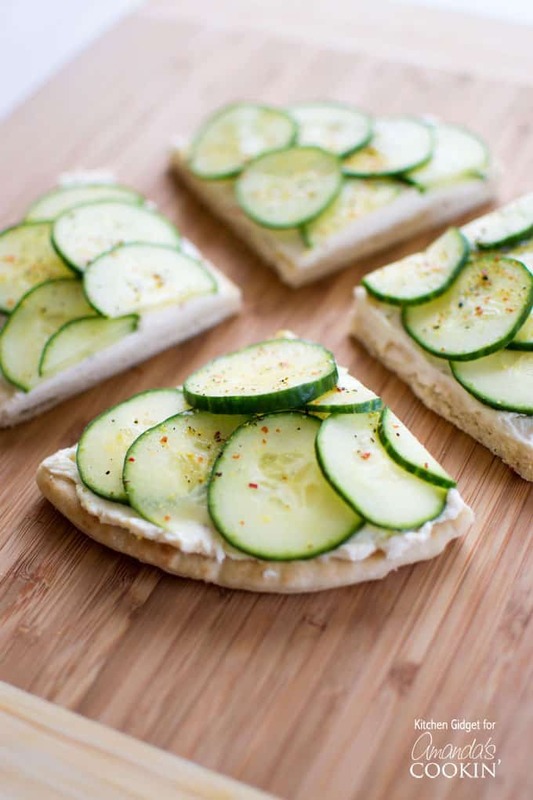 These are not your average cucumber tea sandwiches. 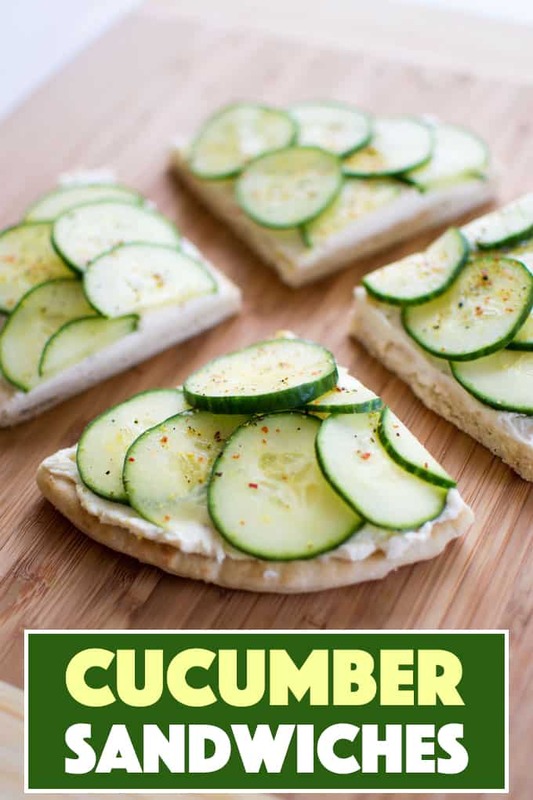 No, instead of thin bread and a smear of butter, crunchy cucumbers are piled on soft pita bread that’s been topped with tangy cream cheese! A convenient packet of Italian dressing mix makes the perfect cream cheese spread, or you can use your favorite flavored cream cheese. 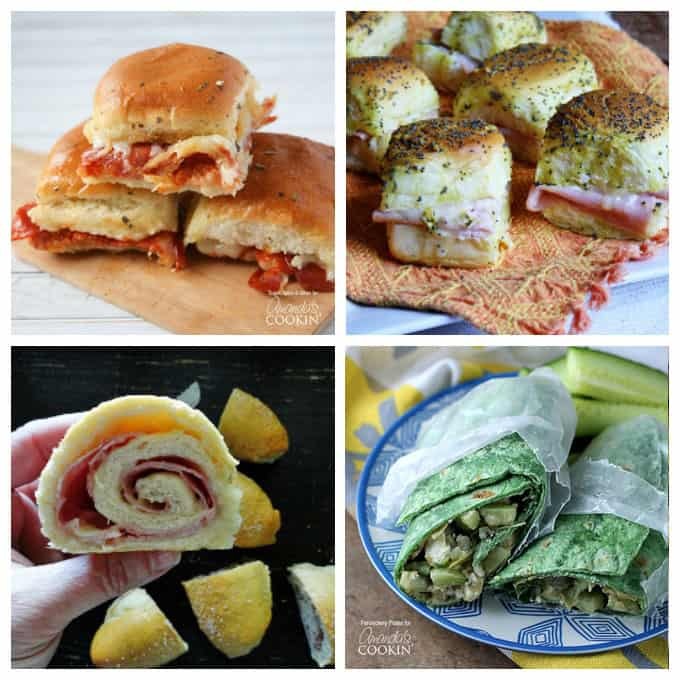 Not only do these tasty sandwiches make a satisfying lunch, but they’re wonderful appetizers as well. These are the kind of cucumber sandwiches that even the manliest of men will eat and enjoy. Plus, they’re cute enough for baby showers and ladies luncheons, but they’re different from the tea sandwiches that grandma used to make. They are an absolute snap to put together, but if you’re going to make them ahead, I recommend toasting the pita bread so it doesn’t get soggy. For parties, I usually have my cream cheese pre-blended and the cucumbers sliced ahead of time. Assembly is a breeze after that. These little sandwiches are perfect for showers and potlucks alike. I’ve served them as an appetizer at barbecues, birthday parties (the adults have to eat too) and have made them just for a tasty summer snack. If you’d like to increase the zesty nature of these sandwiches, I recommend sprinkling them with a little lemon-pepper. The brightness it adds takes them over the top! We also like it with a dash of Mexican spice mix made of chile peppers and lime. Mixing the two is fabulous! If you need sandwiches for a crowd, this pizza sandwich casserole and these ham and cheese sliders are awesome! Great for game-night or taking along to watch your kid’s soccer game. This Cucumber Tomato Couscous would be great for summer! If you love soft pretzels, this is the sandwich for you! Ham & cheese rolled up inside a soft pretzel bun and baked to perfection. Try these ham & cheese pretzel roll sandwiches today! Another summer idea is this Pineapple Cucumber Salad, a different twist on the usual! If you’re looking for a healthy and vegetarian option, you’ll definitely want to try this delicious Mediterranean Veggie Wrap! What do you get when you combine crisp cucumbers, zesty Italian cream cheese and soft pita bread? 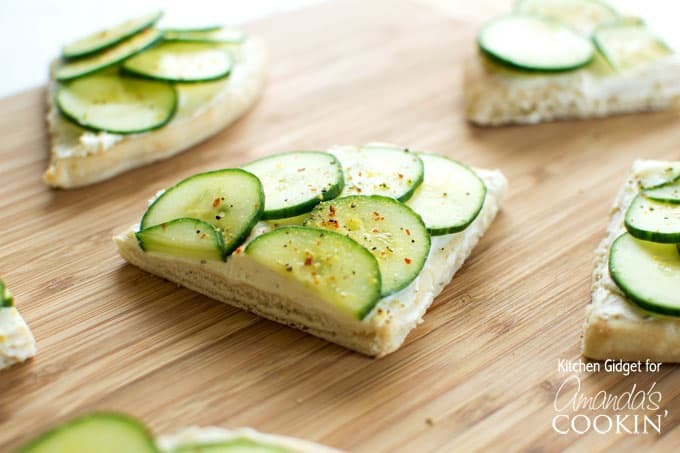 These mouthwatering cucumber sandwiches! Cool as a cucumber has a whole new meaning! I made these for a Red Hat Society luncheon and they were a big hit, thank you! So glad you enjoyed them Bella, thank you! During WWII my Mother and her best friends (their husbands were pilots) go to comfort food was cucumber and onion on buttered white bread. A little salt and pepper and they were good to go. I try to get in and get recipes and they don’t show any. I wanted your cucumber sandwiches recipe. I’d be happy to help. Can you please explain what you mean? The printable recipe is listed at the bottom of the post, just before where you type a comment. Are you able to see that? I’ve also added a Hidden Valley Ranch dry package to the cream cheese instead of the Italian dressing mix and that is also really good. 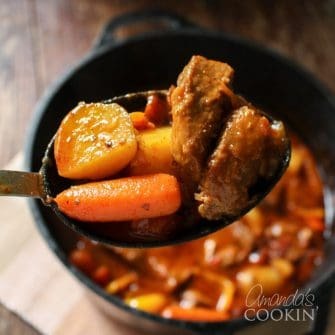 You just need to click on READ MORE and it gives you the recipe and ore pictures.